Sclerotinia has become a yearly concern for most Manitoba canola growers. The fungus Sclerotinia sclerotiorum occurs in all the canola growing areas of Canada, causing stem rot, which is one of the most destructive diseases of canola. 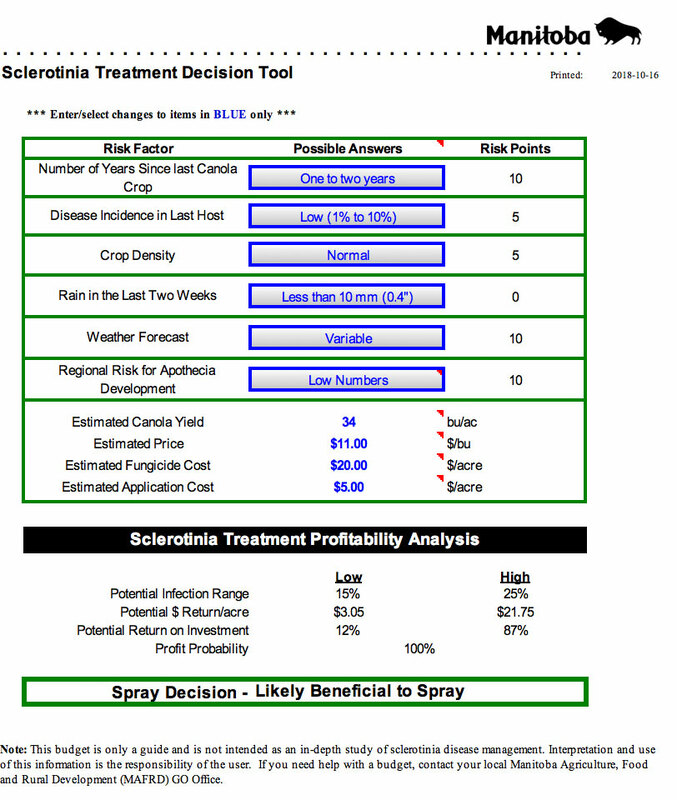 Click link to use the Sclerotinia Treatment Decision Tool put out by Manitoba Agriculture Food and Rural Development. The greater the risk score for a field the higher the probability of a positive economic return.